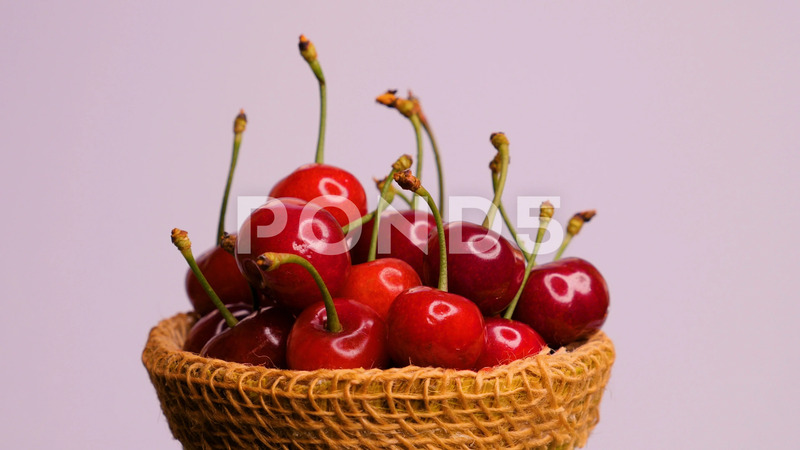 Basket With Red Ripe Sweet Cherries. Close Up. Rotating.